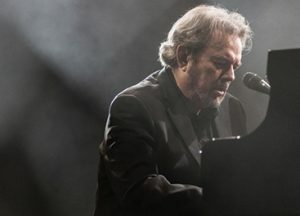 Join us for an intimate evening with living legend Jimmy Webb, hailed by Rolling Stone as one of the top 50 songwriters of all time. His cross-genre hits include Glen Campbell’s “Wichita Lineman” and “By the Time I Get to Phoenix,” his Grammy-winning “Up, Up and Away,” and the charts-topping “MacArthur Park” – a hit for Richard Harris and Donna Summer. Jimmy plays the music that made him America’s Songwriter, and beguiles with the stories behind his hits from Nina Simone, Art Garfunkel, Linda Ronstadt, Frank Sinatra to Kanye West. Known worldwide as a master of his trade, Webb is also the only artist ever to have received Grammy Awards for music, lyrics and orchestration. Don’t miss this up-close-and-personal event, as Webb performs his music and shares the often funny and always insightful stories from his illustrious career. Doors open at 7pm, dinner and concert at 8pm.